10 What about the Rich Man & Lazarus? Since the Bible doesn’t teach that unredeemed people possess immortality or that they will suffer eternal torment in the lake of fire, the only way adherents of these beliefs can defend their position is by milking a small number of passages for details that the entire rest of the Bible refutes. This chapter is devoted to honestly examining these passages. Ironically, as you shall see, a close examination of these texts actually gives further support for literal everlasting destruction. Multitudes who sleep in the dust of the earth will awake: some to everlasting life, others to shame and everlasting contempt. (3) Those who are wise will shine like the brightness of the heavens, and those who lead many to righteousness, like the stars forever and ever. This passage speaks of two resurrections — the resurrection of the righteous to everlasting life, and the resurrection of the unrighteous to shame and everlasting contempt. Please notice how this text clearly states that only the righteous will be resurrected to everlasting life. “Life” here is the Hebrew word chay (the equivalent of the Greek zoe as shown in the previous chapter), which simply means “living thing” or the state of being “alive” (Vine 138). This is the very same Hebrew word used to describe the “breath of life” that God breathed into Adam to animate him (Genesis 2:7) and the “breath of life” of animals as well (Genesis 6:17 & 7:15,22). This “life” is spoken of in the Bible as the express opposite of death (Deuteronomy 30:19 & 32:39). My point is that there’s nothing profound or mystical about the word “life” here. It simply refers to life, the state of being alive — the condition of simple conscious existence. According to the above passage only one class of humanity — the righteous — will be resurrected unto everlasting life. As in the passage from Daniel, we see here that only the righteous will be resurrected to live. “Those who have done evil” will be resurrected for the purpose of judgment and condemnation. Condemnation to what? Condemnation to the lake of fire where they will suffer “the second death” (Revelation 20:11-15), which consists of God destroying “both soul and body” (Mathew 10:28). Isaiah 41:11-12 explains that the ungodly will be “shamed and dishonored” in the sense that they “will perish,” “be as nothing, and non-existent” (NASB). This is the ultimate shame — to have one’s life judged so worthless and defiled that it must be blotted out of existence and memory. According to this passage, what will be “loathsome to all mankind?” The dead bodies of those who rebelled against the LORD! Notice that these people are dead – all that remains of them are their lifeless “carcasses” (as the KJV states). Just as a grotesque, rotting corpse would be loathsome to you or I, so the proud and wicked people who dared to rebel against the Almighty will be everlastingly loathed and abhorred by the LORD and the righteous. For with fire and with his sword the LORD will execute judgment upon all men, and many will be those slain by the LORD. The verse speaks for itself: On judgment day there will be many “slain by the LORD.” The ungodly will be slain, not kept alive and sadistically tormented forever. Their carcasses will be loathsome to all humanity who are blessed with everlasting life. (We will examine the phrase “their worm will not die; nor will their fire be quenched” in the forthcoming section on Mark 9:43-48). Lastly, immediately after informing us of the two classes of resurrections, Daniel 12:3 states how the righteous will “shine like the brightness of the heavens… like the stars forever and ever.” Notice that the text fails to share anything about the state of existence of those who are resurrected “to shame and everlasting contempt.” Why? Naturally because they will be “slain by the LORD.” They will not be granted everlasting life; consequently, they will have no existence of which to speak. They’ll be dead. They’ll be revolting carcasses — condemned to death for all eternity. The key phrase here that eternal torturists use to support their position is, of course, “there will be weeping and gnashing of teeth.” The Bible shows Jesus using this phrase four other times in Matthew (8:12; 22:13; 24:51 & 25:30) and once in Luke (13:28). Devotees of never-ending misery claim that Jesus was saying, “They will endlessly weep and gnash their teeth in fiery torment forever and ever.” But this is not what Jesus said. We need to be careful to let a Biblical passage speak for itself and resist the temptation to read more into it based on our doctrinal biases. When we read more into a simple statement like this, as just shown, we become guilty of adding to the Word of God, which is squarely condemned in Scripture (Proverbs 30:6, Revelation 22:18 & Deuteronomy 4:2; 12:32). “Weeping and gnashing of teeth” is simply a solemn reminder that “It is a dreadful thing to fall into the hands of the living God” (Hebrews 10:31) for God’s enemies will experience “a fearful expectation of judgment and of raging fire that will consume the enemies of God” (Hebrews 10:27). Regarding the “weeping,” if you were an unrepentant rebel against God, would you not be weeping the day you finally fell into His hands for judgment? And would you not be wailing as you are judged unworthy of living and subsequently cast into a vast fiery furnace? And would you not wail the entire time it takes the fire to consume you — however long that would justly be? Of course you would. That’s why James warned rich oppressors to weep and wail for fear of God’s coming judgment, referred to as “the day of slaughter,” when fire will devour them (James 5:1-5). As in the other texts regarding “gnashing of teeth,” the wicked man’s gnashing of teeth is evidently an expression of his fury against the righteous. Yet even while he grinds his teeth in ineffective rage, he wastes away and comes to nothing. The phrase could, in this one instance, be interpreted as a reference to pain, but the pain clearly does not last forever; the gnashing of teeth ends and the person is ultimately extinguished. In scriptural usage the expression ‘weeping and gnashing of teeth’ seems to indicate two separate activities. The ‘weeping’ reflects the terror of the doomed as they begin to realize that God has rejected them and as they anticipate the execution of his sentence. ‘Gnashing of teeth’ seems to express their bitter rage and enmity toward God, who has sentenced them, and toward the redeemed, who will forever be blessed. 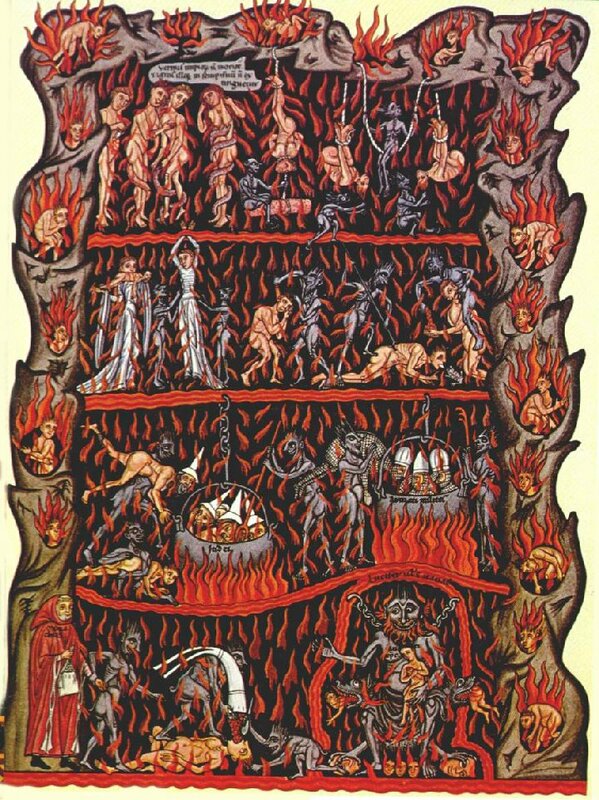 The common assumption that ‘weeping and gnashing of teeth’ describes the everlasting agony of souls in conscious torment is the interpretation of a later age and lacks any clear biblical support (The Fire that Consumes, 104-105). Mr. Fudge does a fine job of wrapping up the matter, but let me add this: The reason I quoted the “weeping and gnashing of teeth” passage from Matthew chapter 13 above is because, unlike the other five times this phrase appears, Matthew 13 gives us additional information to properly draw a sound conclusion. In verse 42 Jesus is still explaining The Parable of the Weeds, and therefore what he is saying must be interpreted in light of what he has already said. What did he already say? In verse 40 Jesus says, “As the weeds are pulled up and burned in the fire, so it will be at the end of the age.” Do weeds burn forever without ever quite burning up? No, they burn for a period of time until they burn up. It will be the same way with ungodly people on judgment day. In addition to this, Jesus describes the lake of fire in verses 42 and 50 as “the fiery furnace.” As determined in Chapter Two, “fiery furnace” is an unmistakable example of complete incineration. No one can argue with this fact. By adding that “there will be weeping and gnashing of teeth” Jesus is simply describing the miserable way it will be on judgment day. Can you imagine the horrible scene it will be? The weeping, the wailing, the gnashing of teeth as God’s enemies are cast into the lake of fire and consumed by raging fire? This is the only sound way we can interpret this phrase. After all, if Jesus meant to say that these sinners would perpetually weep and gnash their teeth throughout all eternity, don’t you think he would mention it somewhere? Yet he mentions no such thing. Instead he continually warned against the utter death and destruction of the second death, and backed this up with multiple easy-to-understand examples. In three of the “weeping and gnashing of teeth” texts — Matthew 8:12; 22:13 and 25:30 — Jesus refers to the lake of fire as “outer darkness” (or as the NIV states “outside, into the darkness”). “Outer darkness” is merely one of many names the Bible uses for the lake of fire. Other names include Gehenna, burning sulfur, eternal fire, etc. “Outer darkness” is a fit name for the lake of fire since it is the eternal spiritual realm prepared for the devil and his angels where the light of God’s presence does not shine. When people are damned to “outer darkness” to suffer the second death, there will be weeping and gnashing of teeth, but God will ultimately utterly destroy both soul and body. That’s why the lake of fire is referred to as “the second death” for unredeemed human beings, but not the devil and his angels who possess intrinsic unconditional immortality. The nature of the lake of fire is such that it exterminates those who are mortal and torments those that are immortal. …they shall be as though they had not been. So what does Jesus say will be done with the unrighteous in Matthew 25:41 and 46 above? One thing’s for certain, he says nothing at all about eternal life roasting in utter misery; he merely states that they will be cast “into the eternal fire,” which is the lake of fire (verse 41), and that this is their “eternal punishment” (verse 46). Please note that Jesus said “eternal punishment” and not “eternal punishing.” There’s a difference. The word “punishment” is translated from the Greek word kolasis (KOL-as-is) which refers to a “penal infliction” (Strong 43) and thus a judicial sentence. Jesus does not say here what exactly the penal infliction will be, only that it will take place in the lake of fire (“the eternal fire”) and that the infliction will last forever (that is, take place in the age to come, which lasts forever). Since Jesus doesn’t specify here what exactly the penal sentence is, we must therefore turn to the rest of Scripture for answers. “Scripture interprets Scripture” is an interpretational rule. And we know elsewhere in Scripture that Jesus plainly said God would “destroy both soul and body” in the lake of fire (Matthew 10:28) and Paul taught that the ungodly would suffer “everlasting destruction” (2 Thessalonians 1:9). 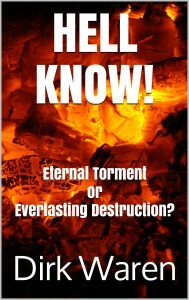 Thus the Bible is quite clear that the eternal punishment or penal sentence that the unrighteous will be condemned to in the lake of fire is everlasting destruction of soul and body — destruction of the whole person which lasts forever — not eternal punishing. Let’s also consider the fact that the Bible uses the word “eternal” to describe the results of an act even when it is clear that the act itself is not of endless duration. For instance, Hebrews 9:12 speaks of the “eternal redemption” which Christ obtained for us; yet no one absurdly supposes that this redemption will be an endless process that goes on through all eternity “because by one sacrifice he has made perfect forever those who are being made holy” (Hebrews 10:14). Also, Hebrews 6:2 speaks of “eternal judgment,” yet no one ludicrously claims that the work of judging goes on forever and ever without end. In the very same way the act of punishment need not go on endlessly for the punishment to be eternal. Like eternal redemption and eternal judgment, eternal punishment is eternal in the sense that its results are eternal. Some contend that Jesus was teaching eternal torment by describing the lake of fire as “the eternal fire.” Yet this is simply a name for, and a description of, the lake of fire which was “prepared for the devil and his angels” as their eternal habitation (verse 41). As pointed out in Chapter Three, these wicked, rebellious angels possess unconditional immortality and therefore must be exiled to exist somewhere for all eternity. What else can God possibly do with such evil, irredeemable creatures that can never die? 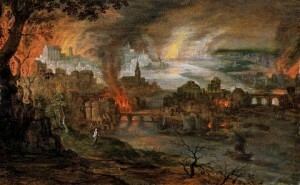 Furthermore, as we’ve already seen in Chapter Three, Jude 7 plainly states that Sodom and Gomorrah were overthrown by “eternal fire.” Since these cities have long since been completely incinerated, “eternal fire” in this context must refer to total destruction which lasts forever, and not to never-ending conscious torment. As already noted, this complete and permanent destruction of Sodom & Gomorrah is a biblical example of what will happen to the ungodly when they suffer the second death (2 Peter 2:6). So, technically, the phrase “eternal fire” merely refers to destruction which lasts forever when applied to human beings. As always, we must resist the temptation to add our own biased interpretation to various biblical phrases and simply let Scripture interpret Scripture. NOTE: Verses 44 and 46, which are identical to verse 48, are not found in the best ancient scriptural manuscripts. This explains why modern translations — NIV, NASB, NRSV, etc. — do not include these verses in the main text. Apparently an overzealous scribe intentionally or accidentally repeated these two verses on a later manuscript. The best way to handle this long passage is to examine it point by point and then take it as a whole. First of all, plainly observe that verses 43 and 45 state that it is better to enter life maimed or crippled than to be thrown into “hell,” which is Gehenna in the Greek. Verse 47 enlightens us that those who “enter life” will “enter the kingdom of God.” This is in perfect harmony with what we’ve repeatedly witnessed in the Scriptures throughout this study: only the righteous will be granted eternal life and partake of the kingdom of God in the age to come (i.e. the new Jerusalem and “new heaven and new earth” as shown in Revelation 21). If only the righteous will “enter life” in the age to come, then the unrighteous, who will be “thrown into Gehenna” (the lake of fire), will not enter any kind of life at all. No, they will suffer the second death — everlasting destruction of both soul and body — as we have repeatedly observed. Secondly, notice that all three times Jesus refers to the lake of fire throughout this passage he uses the example of Gehenna. As already detailed in Chapter Two, Gehenna was the local trash dump & incinerator located right outside the city walls of Jerusalem to the south. Trash, garbage and the carcasses of animals, despised criminals & vanquished enemies were thrown into Gehenna for the express purpose of disposal and eradication. Why would Jesus continually use this local trash dump & incinerator as an illustration of the lake of fire? Because Gehenna was a very certain symbol of utter and complete destruction which all of his hearers readily understood. We need to keep this important fact in mind whenever viewing biblical texts that speak of Gehenna. Sadly, most Bible readers will miss out on these important facts because 1. the English word “hell” disguises the Greek Gehenna, and 2. they lack any historical knowledge of what Gehenna was at the time of Jesus’ earthly ministry. As such, the myth of hell as never-ending roasting is perpetuated. Keeping the above two points in mind, let’s now observe Jesus’ statement in verse 43, “Hell (Gehenna), where the fire never goes out.” This was actually true of Gehenna — the Valley of Hinnom — as the fires of this city dump were kept constantly burning for the purpose of burning up the refuse that was regularly thrown into it. But this is also true of the lake of fire of which Gehenna is an example. As we’ve already covered, Jesus spoke of the lake of fire as “the eternal fire prepared for the devil and his angels” (Matthew 25:41). The LORD had no choice but to prepare such a place after the devil and his filthy minions rebelled against him. Since the devil and his demons possess unconditional immortality and can never die, the lake of fire will be their eternal habitation; but for mortal human beings, the lake of fire will be used as God’s chosen instrument to execute “the second death.” The fire never went out in the constantly smoking Valley of Hinnom (Gehenna), but the refuse thrown into it was eradicated — the refuse didn’t ludicrously burn forever. In the same way, the fire in the lake of fire will evidently never go out, but the people cast in it will be completely eradicated. Let’s now examine Jesus’ statement in verse 48: “Hell (Gehenna), where ‘their worm does not die, and the fire is not quenched.’ ” Despite the obvious ambiguity of the statement, this is one of the major texts cited by adherents of eternal torment to support their view. Yet, let’s be honest here: Does Jesus say anything in this verse about people being in a state of perpetual, undying torment? No. In fact, if we were to take this verse literally Jesus is evidently teaching on the immortality of worms! The case for the eternal torment theory is pretty sad indeed if its adherents must resort to citing this verse as one of their major proof texts. If the ultimate consequence of sin is as harsh and cruel as everlasting fiery conscious torture, would Jesus Christ, the living Word of God, piddle around making such ambiguous statements? No, he would not fail to clearly spell out the truth regarding such an important subject. That’s why he plainly referred to the lake of fire as Gehenna three times in this very passage, because Gehenna was a very certain symbol of destruction which backs up his many clear and solemn statements regarding the second death. You’ll notice that verse 48 is in quotation marks. That’s because Jesus is quoting the very last passage of the book of Isaiah. Although we’ve already viewed this verse in the section on Daniel 12:2, let’s go ahead and observe it again (from a different translation) as this is the only way we can properly interpret Jesus’ words. “The corpses” refer to the people who have transgressed against the LORD and will be thrown into the lake of fire. Please notice that they are no longer alive. They are dead. They have been destroyed. They are loathsome, ashen, worm-chewed corpses! They will be “an abhorrence to all mankind” just as an ashen, worm-chewed corpse of a despised criminal would be abhorrent to us. The fact that these transgressors are, in fact, lifeless corpses is backed up by verse 16 of the same chapter, which states that they will be “slain by the LORD;” and verse 17, which states that “they will meet their end.” The second death is when the ungodly will meet their end, not when they’ll meet the beginning of life in never-ending roasting agony. The Hebrew for “worm” refers to maggots (Strong 123). The unmistakable fact is that the bodies affected by these maggots are dead. This is natural since maggots exclusively devour dead flesh, not living creatures. And, it should be added, maggots do not die, they turn into flies. Being that Gehenna was a garbage dump, maggots inevitably bred freely there and preyed upon the filth. When corpses of animals or executed criminals were thrown in, they would either be destroyed by maggots, by the fires that were kept constantly burning there, or by a combination of both. Understanding the unmistakable context of Jesus’ quote from Isaiah, as well as the historical facts regarding Gehenna help us to properly interpret Jesus’ words from Mark 9:43-48. Just as moths eat or destroy garments, so the ungodly will be destroyed in the lake of fire. Like Mark 9:48, this is undoubtedly a figurative example of everlasting destruction; it is meant to be taken seriously, but not necessarily literally. I doubt, after all, that there will be literal moths or worms in the lake of fire devouring those thrown in. We’ve already deduced from Scripture that, literally, the ungodly will be totally consumed by raging fire — both soul and body — when cast into the lake of fire. This will result in the blackest darkness of all — absolute obliteration and extinction of being. Notice how the everlasting destruction of the ungodly is contrasted with the LORD’s righteousness and salvation which will last forever. Those who accept God’s gracious gift of salvation — eternal life — will experience this salvation forever. Those who reject it have no “forever” to look forward to; they will be destroyed like garments devoured by moths or worms. Verses 3,6-8 & 11 also confirm that this is indeed an eschatological passage and thus relevant to the eternal fate of ungodly people. Why is it that eternal torturists fail to ever mention this “worm verse”? I’ll tell you why — it contradicts the religious position they so dearly embrace. NOTE: See Appendix A Old Testament Hell Verses for a more detailed examination of Isaiah 51:8. “Burn and not be quenched” in this passage could not possibly refer to burning forever without end. After all, will the trees of the field and the fruit of the ground, as well as the men and beasts of Judah, burn forever? Obviously not. These and many other passages that mention unquenchable fire prove that such phrases simply refer to the irrevocability of God’s judgment and wrath — for when the LORD’s judgment is pronounced and the fire is set to destroy, he will allow nothing to quench it until the consumption is complete (see, for example, Isaiah 34:9-11, Ezekiel 20:47-48, Amos 5:6, Matthew 3:12 and Luke 3:17). Let us now examine Mark 9:43-48 as a whole. Jesus made very similar comments in Matthew 5:29-30 and 18:8-9. The point Jesus is making in these passages is clear: If we want to enter eternal life we must be careful to cut off things in our present lives that cause us to sin, because the wages of sin is death, and this wage will be meted out in Gehenna, the lake of fire, God’s garbage dump & incinerator. More basically, Jesus is simply encouraging us to flee from sin because unrepentant sin — that is, sin as a lifestyle — will prevent us from entering life, and will, in fact, lead to ultimate extinction. This is a crucial matter and it’s what Jesus is essentially getting across. Paul, under the inspiration of the Holy Spirit, made the same point more succinctly when he declared “For the wages of sin is death, but the gift of God is eternal life in Christ Jesus our Lord” (Romans 6:23). Paul starts out this passage by quoting Psalm 62:12 and Proverbs 24:12: On judgment day God will give to each person according to what he or she has done. To those who persistently do good and seek immortality, he will grant eternal life. Notice clearly that immortality is not something that people intrinsically possess; no, it’s something that must be sought. Those who seek it will find it, as Jesus himself said, “seek and you will find” (Matthew 7:7). We once again see that only one class of people will be granted immortality and eternal life — those who seek immortality and actively practice their faith, that is, the righteous. NOTE: Remember, the “righteous” are simply those people who are in-right-standing with God because they’ve let go of their own righteousness in acceptance of God’s “gift of righteousness” through Christ — see Romans 5:17 and 2 Corinthians 5:21. If only one of the two classes of people will be granted life and immortality, then we know that the other class of people will not be granted life and immortality. If these people are not granted life and immortality, it naturally follows that they will be condemned to death. That’s why Paul goes on to state in verse 12 that all who sin apart from the law will also perish apart from the law. In fact, right before this passage Paul declared that, according to God’s righteous decree, those who unrepentantly practice sin deserve death (Romans 1:32). Paul describes the class of people who will not be granted eternal life and immortality, as “self-seeking and who reject the truth and follow evil.” He goes on to declare in verses 8 and 9 what this class of people can expect on judgment day: “…there will be wrath and anger. There will be trouble and distress.” “Wrath and anger” describe the scene from God’s perspective, while “trouble and distress” portray it from the perspective of the ungodly people who will suffer His wrath and anger. There are two obvious problems with this contention: The first is that it is hermeneutically unsound to take a phrase like “wrath and anger” and add to it our own personal interpretation which just so happens to coincide with our pet beliefs. Secondly, Scripture must always be interpreted by Scripture; this is an interpretational law because God, the author of Holy Scripture, is of one mind. Your hand will lay hold on all your enemies; your right hand will seize your foes. (9) At the time of your appearing you will make them like a fiery furnace. In his wrath the LORD will swallow them up, and his fire will consume them. As you can see, when God’s wrath and anger are finally poured out — after much patience and mercy, I might add — people are utterly consumed and destroyed, not tortured endlessly. Because Scripture must always be interpreted in light of what the rest of Scripture teaches, this helps enlighten us as to exactly what Paul was talking about in Romans 2:8-9 when he stated that there will be wrath and anger, trouble and distress for all those who reject the truth and follow evil. The second reason we cannot take the phrase “there will be wrath and anger… trouble and distress” as a reference to eternal torment is because, as already pointed out, this passage is sandwiched between two crystal clear statements that 1. according to God’s righteous decree, sinners “deserve death” (1:32), and 2. “all who sin apart from the law will also perish apart from the law” (2:12). Keep in mind that originally there were no chapter divisions or verse numberings in the epistles; these were added much later for the sake of convenience. First of all, although this passage might at first glance give the impression that God will sadistically torment people in his presence forever and ever, it does not say that. All it states is that these rebellious people will be tormented with burning sulfur and that “the smoke of their torment rises forever and ever” — there’s a difference. “Smoke” indicates that they will be burned up and “torment” would refer to the anguish experienced while being burned up. This perfectly coincides with what the Holy Spirit inspired David to write in Psalm 37:20: “But the wicked shall perish… Into smoke they shall vanish away” (NKJV). In Chapter Three we covered the fact that, when people suffer the second death, conscious suffering will be meted out to each individual as divine justice properly dictates (you can read about it here). This makes perfect sense when comparing, say, Jack the Ripper and the friendly pagan guy at work who simply wants nothing to do with the Lord because he loves his pet sin too much. The pagan guy might experience a split second of pain when raging fire utterly consumes him, but doesn’t a fiend like Jack the Ripper justly deserve a bit more conscious suffering before eternal oblivion? Of course he does. That’s why Jesus said judgment day would be more bearable for some than for others and that some would be punished more severely even though they all suffer the same ultimate fate — literal everlasting destruction. This is actually a comforting aspect of judgment day as every evildoer throughout history who has ever “gotten away” with wicked deeds will have to stand before the true Supreme Court and answer for his or her crimes. As Erwin Lutzer aptly put it: “Every court case ever tried on earth will be reopened; every action and motive will be meticulously inspected and just retribution meted out. In the presence of an all-knowing God there will be no unsolved murders, no unknown child abductor, and no hidden bribe” (107). In the case of Revelation 14:9-11, this passage is solely referring to those who have chosen to worship the beast and receive his mark during the 7-year tribulation period. This is apparently a heinous sin to God and therefore these people will be punished very severely. Edom’s streams will be turned into pitch, her dust into burning sulfur; her land will become blazing pitch! (10) It will not be quenched night and day; its smoke will rise forever. Reading this passage we get the strong impression that the kingdom of Edom will burn forever and ever without end but the entire rest of the chapter renders this interpretation impossible. The rest of the chapter shows that Edom will become a desolate desert inhabited by owls, jackals and hyenas. Verses 5 & 6 state that the people of Edom will be “totally destroyed” and slaughtered, and Obadiah 10 & 18 back this up, stating that Edom will “be destroyed forever” — consumed by the fire of God’s judgment and wrath. Therefore the statement “it will not be quenched night and day; its smoke will rise forever” cannot be taken to mean what it might casually seem to mean. 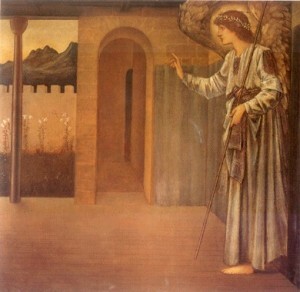 This proves that the terminology used in Revelation 14:10-11 cannot refer to eternal conscious torment because, just as the entire rest of Isaiah 34 renders this interpretation impossible for Isaiah 34:9-10a, so the entire rest of the Bible renders this interpretation impossible for Revelation 14:10-11. Please notice that Isaiah 34:10 plainly states that Edom will burn and “not be quenched night and day.” This shows that the phrase “night and day” or “day or night” does not refer to an unending amount of time. The burning sulfur that destroyed Edom was not quenched “night and day” until the entire kingdom was destroyed. Likewise, the wicked people spoken of in Revelation 14:10-11 will have no rest from their torment “day or night” until the burning sulfur totally destroys them. “Burning sulfur” is simply another name for the lake of fire (see Revelation 21:8); so being “tormented with burning sulfur” is a reference to the second death. For further proof, Paul stated that he worked and prayed “night and day” (1 Thessalonians 2:9; 3:10), but he did neither non-stop, and working ceased when he died. Acts 9:24 and Revelation 12:10 give additional support that this phrase refers to a temporary period of time. The third reason we can’t regard Revelation 14:10-11 as a reference to eternal fiery torment is because there are other passages in the book of Revelation that also use the terminology used in Revelation 14:10-11, but like Isaiah 34:9-10, these passages distinctly refer to complete destruction by fire: Chapter 18 of Revelation deals with the fall of Babylon, which is the result of God’s judgment. “Babylon” here prophetically refers to a city that will be the governmental center of the Antichrist’s kingdom on earth, likely in Europe and representing a modern version of the old Roman Empire, according to David Reagan. Whatever the case, chapter 18 speaks of “the smoke of her burning” (verses 9 & 18) and of “her torment” (verses 10 & 15), and 19:3 states, “The smoke from her goes up forever and ever.” This terminology gives the impression that “Babylon” will be eternally tormented and burn forever and ever, but Revelation 18:8 makes it clear that “She will be consumed by fire” — completely destroyed — just as this entire present earth will also be destroyed (see 2 Peter 3:10-11). Thus, the statement “the smoke from her goes up forever and ever” can only refer to complete and final destruction. These passages, which use the terminology of smoke rising forever, coincide with God’s total destruction of Sodom & Gomorrah, which is a biblical “example of what is going to happen to the ungodly” at the second death (2 Peter 2:6). In the Genesis account of Sodom & Gomorrah’s destruction, Abraham saw “dense smoke rising from the land, like smoke from a furnace” (19:28). Fourthly, there’s even further reason why we can’t take Revelation 14:10-11 as a reference to never-ending roasting torture. 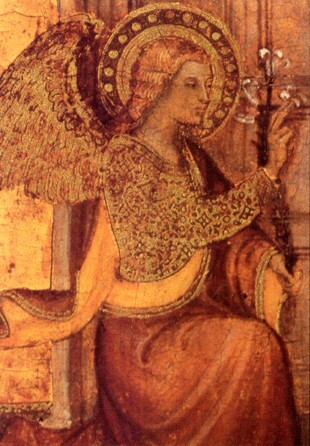 Notice clearly from this passage where the tormenting is taking place: “He will be tormented with burning sulfur in the presence of the holy angels and of the lamb. 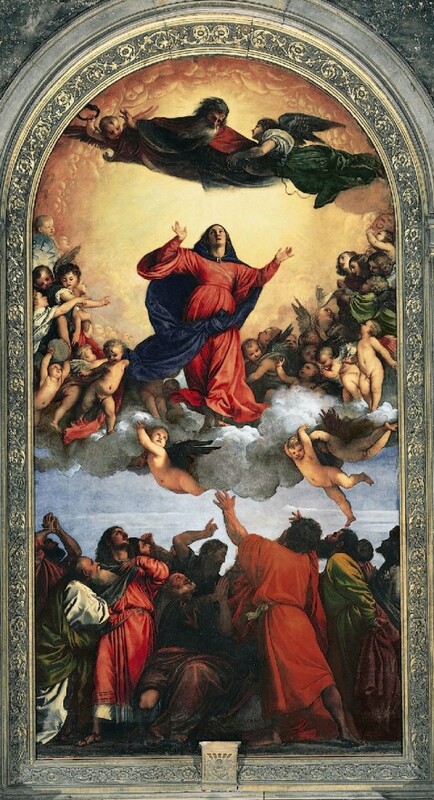 And the smoke of their torment rises forever and ever.” Being tormented with burning sulfur is referring to suffering the second death (again, Revelation 21:8); according to this passage this “death” will take place in the presence of God and his holy angels. So whether we view “tormented with burning sulfur” as a reference to eternal torture or as a reference to the anguish of being completely burned up, it is certain that, in either case, it will take place in the very presence of God. This presents a problem for the view of eternal torment as it shows a God who sadistically tortures his human enemies in his presence forever and ever. Yet it presents no such problem for the view of everlasting destruction as it shows the LORD present at the second death to judge his human enemies and execute their sentence of total, everlasting extermination by his chosen instrument of the lake of fire. As already covered in Chapter One, 2 Thessalonians 1:9 states that ungodly people “shall be punished with everlasting destruction from the presence of the Lord, and from the glory of his power” (KJV) “and shut out from the presence of the Lord and from the majesty of his power” (NIV), not tortured in the presence of the Lord forever and ever. In addition, consider the fact that there are numerous Scriptures that plainly show how there shall be no memory of the ungodly because the Lord will so thoroughly blot out their names forever and ever (see, for example, Psalm 9:5-7, Isaiah 65:16-17 and Obadiah 16). Needless to say, it would be rather hard to forget about the ungodly if they’re being tormented in the Lord’s presence throughout all eternity. As already examined, Isaiah 66:24 states how the righteous shall “go out and look upon” the carcasses of the damned as worms and fire devour their remains. The faithful will obviously not be able to forget about them until they are totally destroyed, so both Isaiah 66:24 and Revelation 14:9-11 cannot be references to never-ending roasting torment. As you can see, the claim that Revelation 14:10-11 supports the eternal torment theory does not stand up to a thorough biblical analysis. This effectively shows that it is a mistake to take one or two passages in which we read our own biased meaning into the terminology, disregard the entire rest of the Bible, and try to prove something. It is unsound to do this because Scripture must always interpret Scripture; it’s a hermeneutical law. After all, I could easily take one or two scriptural texts and “prove” just about anything; that is, as long as I disregard the entire rest of the Bible. For example, I could “prove” that women must remain absolutely silent in the church (1 Corinthians 14:33-38 & 1 Timothy 2:11-14) or that the homosexual lifestyle is okay (2 Samuel 1:26). In both of these cases I was able to come up with what appears to be clear scriptural support to prove my point, yet despite how clear these Scriptures are by themselves, in both cases the entire rest of the Bible renders my initial casual interpretation false. Such is the case with Revelation 14:10-11. The terminology used in this passage is used elsewhere in Scripture and only refers to literal everlasting destruction, not eternal torment. What about the Rich Man & Lazarus? In the previous section I stated that Revelation 14:9-11 was the last proof text for the eternal torment theory that was necessary to examine. Some readers might object by pointing out that I failed to address the rich man and Lazarus, an oft-cited support passage for eternal torture. This objection refers to Luke 16:19-31 where Jesus tells the story of a rich man and poor beggar named Lazarus who die and go to “hell” (verse 23). “Hell” in this text is translated from the Greek word Hades (HAY-deez). 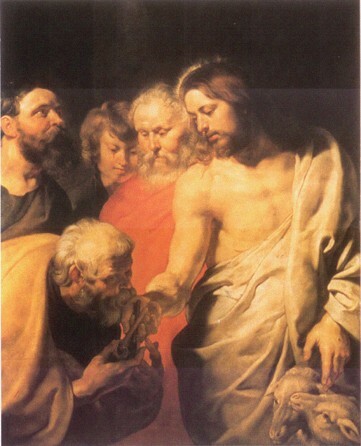 Although both the rich man and Lazarus go to Hades in the story, they each experience diametrical conditions — the rich man is shown to be in a horrible state of torment, whereas the poor beggar is comforted in “Abraham’s bosom.” Jesus’ “punchline” for the tale is that some people will not repent and believe even if someone rises from the dead. As pointed out above, the word “hell” in this passage is the Greek word Hades (verse 23). 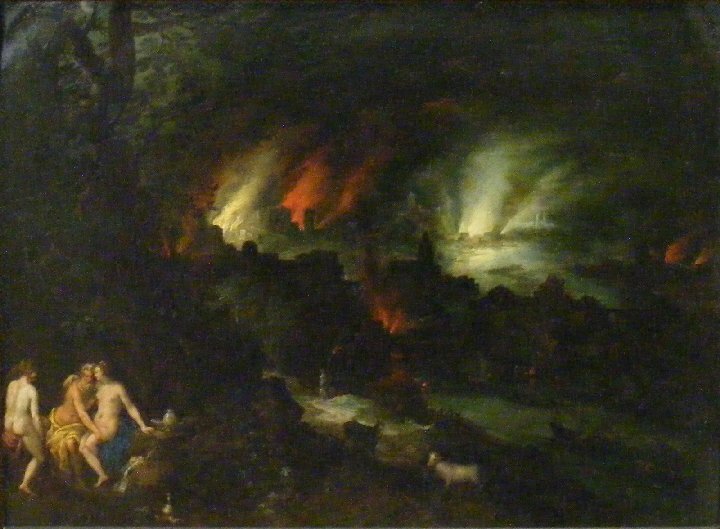 Hades is equivalent to the Hebrew Sheol (sheh-OHL). Sheol/Hades refers to the intermediate state of the soul between decease and resurrection and is therefore a temporary condition (Vine 286). Since Sheol/Hades does not refer to the lake of fire, it’s obviously not relevant to the subject of eternal punishment in the lake of fire, which is the subject of Hell Know. There are differing views regarding the precise nature of Sheol/Hades. For instance, is it an actual place where souls exist in conscious torment (or comfort, as was the case with Lazarus)? Is it a well of “sleeping” souls awaiting resurrection? Or is it simply the condition of death itself (“gravedom”) where souls are extinct as far as conscious life goes and their remains are awaiting resurrection? Sheol appears 66 times in the Old Testament and Hades appears 10 times in the New Testament. There are numerous other scriptural references to Sheol/Hades as well (e.g. “pit,” etc.). I believe a prayerful, thorough and unbiased examination of these many passages will clearly reveal the biblical truth on the matter and I encourage you to do just such a study. In fact, this is the very purpose of Part II of this book, Sheol Know (click the link). Regardless of what view one accepts concerning this “intermediate state,” the fact of the matter is that biblical passages referring to Sheol/Hades are not relevant to the subject of eternal punishment — i.e. the everlasting fate of ungodly people. Needless to say, it is absolutely erroneous to take passages that refer to Sheol/Hades — like Luke 16:19-31 — and teach on eternal punishment. Unfortunately, but to be expected, many adherents of eternal torment habitually use Luke 16:19-31 for this very purpose, no doubt because of their abysmal lack of proof texts. Those who make a practice of this — such as Norman Geisler and Robert Peterson — do so to their own shame. The bottom line on the matter is this: whether you regard the story of the rich man and Lazarus as a literal teaching or as a symbolic parable, it is not pertinent to the subject of this study, whatever the case. See Appendix B Understanding Human Nature for more Biblical details on the nature of Sheol/Hades and also be sure to visit Sheol Know. Notice that we are encouraged to “study.” This means that our interpretation of the Scriptures should not be based on superficial observation, but upon a thorough examination where we interpret Scripture with Scripture, which is precisely what we’ve been doing in this study. As long as we do this and are honest with the Scriptures, letting go of all biases, the truth should be plain to see on any given subject. This is called “rightly dividing the word of truth,” which simply means to handle it correctly (see the NIV translation of this passage). If it is possible to “rightly divide” the Scriptures it is also unfortunately possible to “unrightly divide” them. We’ve seen in this study that a thorough examination of the Word of God strongly supports the view of everlasting destruction; but a person could very easily “unrightly divide” the Scriptures and “prove” that the Bible supports eternal torture. All they have to do is take a handful of passages in which they add their own biased meaning instead of properly allowing Scripture to interpret Scripture. We’ve seen many examples of this in this very chapter. Another example would be to take a passage and misapply it, as would be the case with the story of the rich man and Lazarus. Even if we were to take this story literally it would still only refer to the temporary state between physical decease and resurrection; it therefore cannot be applied as a reference to the second death which concerns the eternal fate of the ungodly. Needless to say, watch out for those who unrightly divide the Scriptures! This ends our examination of the handful of passages which eternal torturists cite to validate their view. A careful biblical examination has shown that none of these passages actually support their position; as a matter of fact, they actually provide further proof for literal everlasting destruction. Revelation 14:9-11 is their most promising text, but, as we have seen, the terminology contained in this passage is used elsewhere in Scripture where it clearly refers to literal destruction that lasts forever and not never-ending roasting agony. Hi..this is Damien. I was wondering something – If the Devil and his angels possess unconditional immortality, couldn’t God destroy them totally and put them out of existence, just like he would do to the unredeemed and unrepentant sinners?? Apparently not since Christ said angels cannot die (Luke 20:34-36), which means they possess unconditional immortality. Thus when Satan & his angels fell from grace (Luke 10:18) they still possessed immortality and could not die, which is why God created “the eternal fire prepared for the devil and his angels” (Matthew 25:41). This is the lake of fire. The LORD didn’t want this same tragedy to happen to human beings, so when Adam & Eve sinned he immediately had them banished from the Garden of Eden so that they would “not be allowed to reach out their hand and take also from the tree of life and eat, and live forever” (Genesis 3:22-24). Only the redeemed in Christ are allowed to eat of the Tree of Life and live forever (Revelation 2:7, 22:2,14 & 2 Timothy 1:10). When the unrepentant unredeemed are discarded in the lake of fire they suffer “the second death,” which is literal destruction of soul & body (Revelation 20:11-15, Matthew 10:28 & Hebrews 10:26-27).